Debe realizar reservaciones con al menos 5 minutos de adelanto en Don Manuel's - The Resort at Pedregal. Música mexicana clásica y contemporánea en vivo. Política de descorche: Se les permitirá traer su botella de (750 ml) con un cargo de 50 USD++. Ofrecemos un 20% de descuento para turismo local en los todos los horarios disponibles. Para información y la disponibilidad de las Clases Privadas de Cocina, Clase de Mixologia, Cata de vinos, Comedor privado, Cenas en nuestra Cava de Vinos, Cena en Su Cocina y cualquier otra petición especial favor de contactar a Selene Sotomayor. with Lobster, Octopus, Shrimp & Scallop Scented with Chile "Güero"
Barbacoa Sauce, "Fideo Seco" with Bacon, Cactus Paddle Vinaigrette and "Piña-Tepache"
Catch of the Day "Zarandeado"
The setting at Don Manuel’s is absolutely breathtaking! It overlooks the Pacific Ocean with dramatic rocks, beautiful lighting, and gorgeous scenery overall. The service was friendly and attentive without being overbearing. The food was unique and delicious with a focus on fresh seafood. We hope to go again soon! Service was very good. Food was rather bland. Ahi Tuna Appetizer with not a lot of flavor. A fish (stripe bass) entree special that had very little taste. Restaurant was not very busy, quiet, with not much atmosphere. Not recommended. One of the finest dining experiences that I’ve had in the entire world. Service was first class, setting was second to none and the food was something that I’ll dream about until I get back. We had a wonderful experience and meal. The staff were friendly and attentive. Also, great cocktails. The view was also amazing. Beautiful resort. Very relaxed atmosphere. They had an incredible band playing with a female vocalist that also was playing the bongo. She was absolutely amazing and added to the already great ambiance. Expensive food but very flavorful. Will go again. The Ambience was amazing but don't expect to get in without a reservation. The lamb was not very good and the crab cakes were a little dry. The watermelon salad and chicken were amazing. 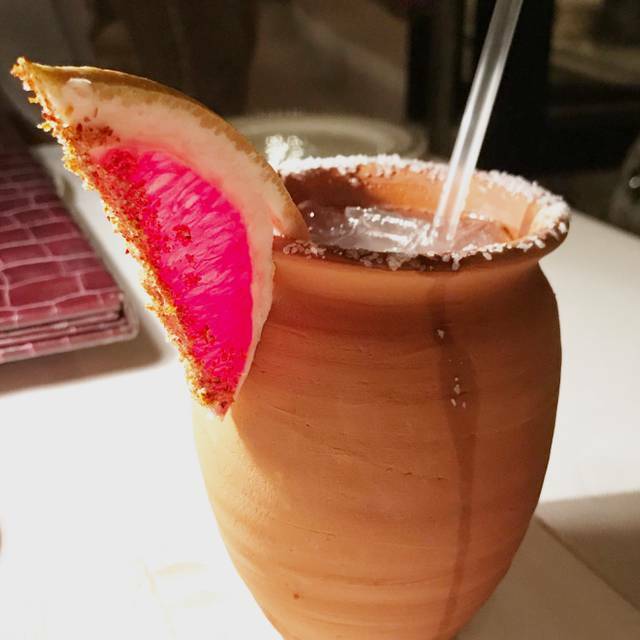 Come here often when in Cabo. There were 6 of us and we all agreed it was one of the best meals we had ever eaten, if not THE BEST! Truly incredible! Food quality and portion sizes were overall good. Wonderful service and dining experience! Expensive and worth every peso. Was fantastic. Service was off the carts. Es un lugar maravilloso, la atencion y los platillos son inmejorables, felicidades es un lugar que hay que visitar. 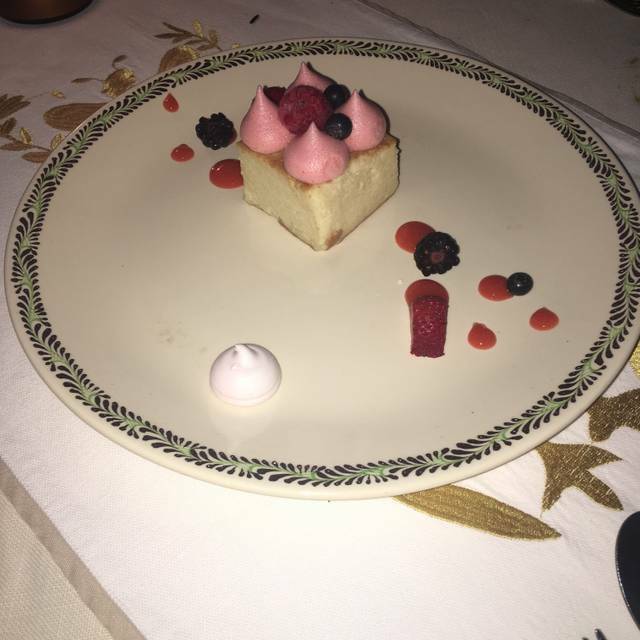 The setting and service are amazing as well as the food and it’s presentation. The setting is beautiful. The menu sounds exciting but doesn't deliver the flavor you expect for the ingredients. My soup was bland. My duck was not juicy and lacked flavor. My friend's soft shell crab was reported to be bland. We ordered habenero sauce to add flavor to the empenadas. We were automatically charged a 15% gratuity which is ok but to add 15% to a $300 usd bottle of champagne is not ok in my opinion. All in all, way down on my list to take out of town guests to in Los Cabo. The quality of the food seems to have declined somewhat since our last visit a year ago. Perhaps a new chef? The ambiance and setting remain spectacular. Great service. Treated our birthday girl like a princess! We only wish they had seated us out closer to the ocean. 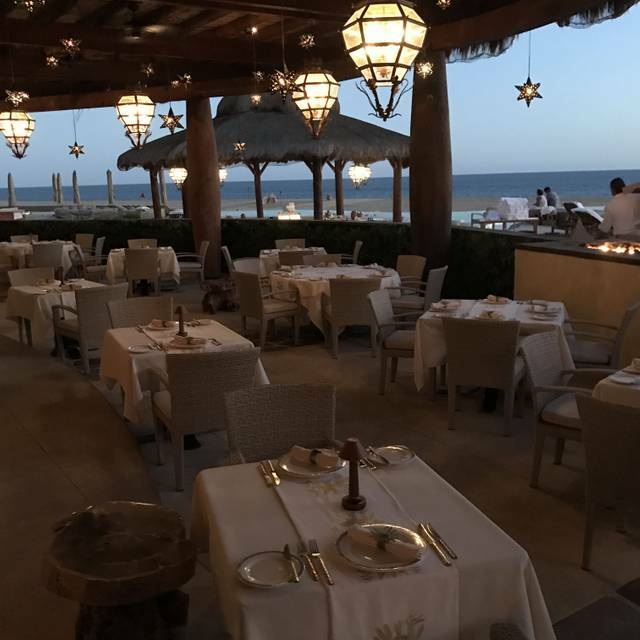 Had a group of 8 for a week in Cabo and we dined at some fantastic restaurants. But Don Manuel's was the highlight of them all. From the time you enter the property until you leave you feel as though you're in a very special place. The property is absolutely spectacular and the service is top-notch. Every detail, from the lighting to the menus themselves has a wow factor. Would recommend going before sunset to stroll around the property a bit and have a drink or two in the bar. Have eaten at the resort's other restaurant, El Farallon, a few times. El Farallon is arguably even a more spectacular setting than Don Manuel's. But overall, I'd prefer Don Manuel's as it's a more comfortable experience in my opinion. We love Don Manuel’s. Always such a special place. The cuisine and service are always great. The decor, ambience and live music are exquisite. We have dined there at least 10 times. 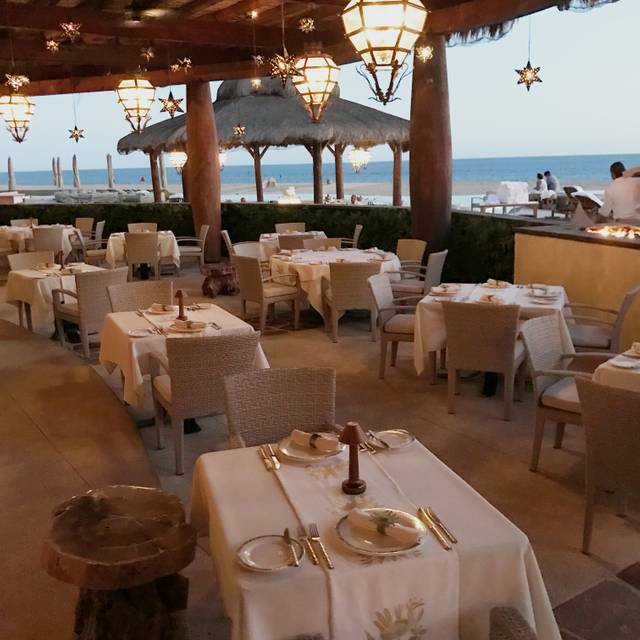 It is one of our favorite spots in Cabo. Great for couples or a group of friends. 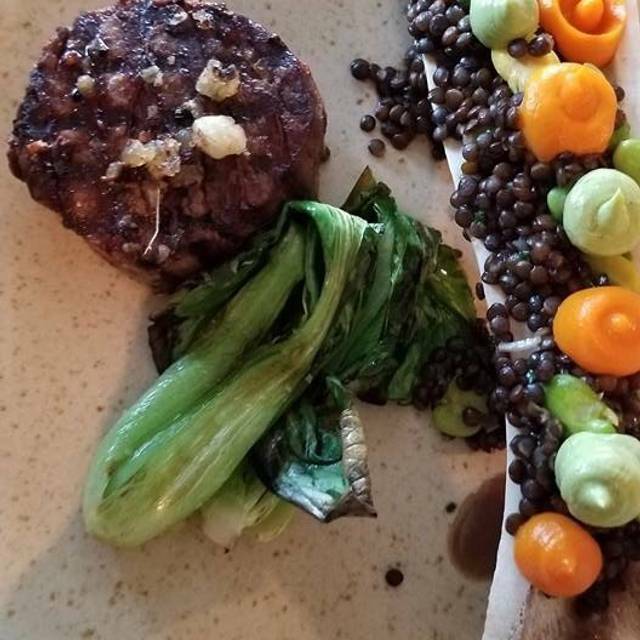 We did not receive an itemized bill; however, from memory and by looking at the menu on the internet the next day, we know we were overcharged by $35 to $40 on a $300 bill. If this is because the service charge is included in the bill, we should have been told. We left a $66 tip. We had a great meal and super great service! Amazing. Perfect view of the sunset and the live band was the icing on the cake. 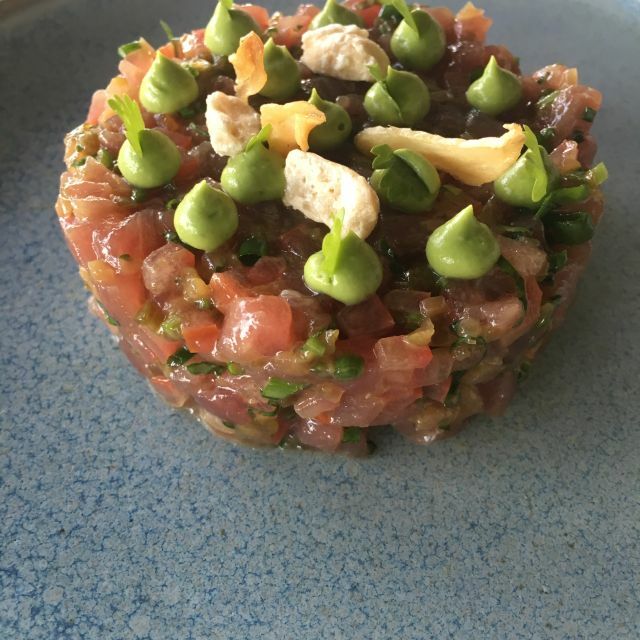 The tuna tartare was to die for! We loved it, service was outstanding and food was delicious! Fantastic dinner, service and ambiance. Unforgettable experience if you are a foodie who appreciates the finer this gd in life. The ambiance, service, and view were outstanding. I ordered the lamb shank which was not to my liking, but the rest of the items were delicious. Our waiter, Roberto, was so kind. He offered to bring me a replacement meal of my choosing which I rejected and he was kind enough to comp my meal. I would definitely recommend the restaurant. Wonderful find in Los Cabos! We enjoyed the spectacular view of the Pacific while dining on exquisitely prepared food. Service was impeccable and it was an experience to remember. Especially loved the watermelon salad, sous vide suckling pig, tuna and tres leches. Hope to return soon! Don Manuel's never disappoints. Sharp staff from arrival valet, to bar and table service. Wonderful oceanside setting. Nicely appointed. This rating is for this visit only! The food in the past has been amazing, but the past few times the quality of the food has seemed to be less than we have become accustomed to. We are hoping this improves soon as we want to continue to patronize.